Are you struggling to find that perfect Easter toy for your toddler? No one wants their little one to be disappointed when the Easter bunny comes to visit. 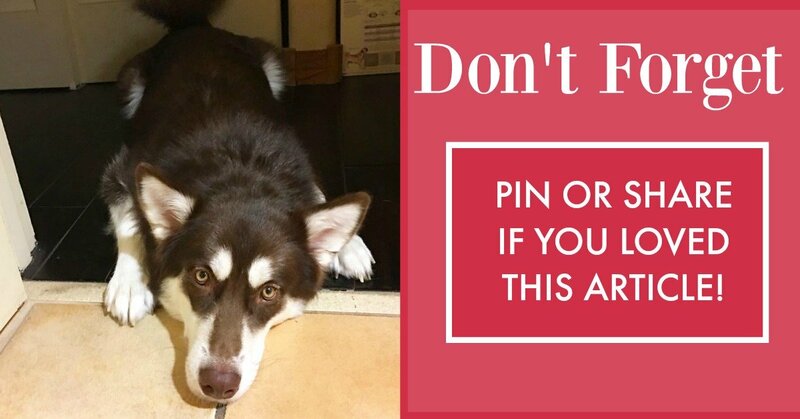 Sometimes, it just takes a bit more research to find a cute toy that isn’t just educational for toddlers, but safe as well since many sets include many small pieces. Luckily, PLAYMOBIL has been a trusted name for parents for generations, creating wonderful toys that grow with children and creating fun, imaginative play sessions where they can jump into a variety of safe role-playing roles. 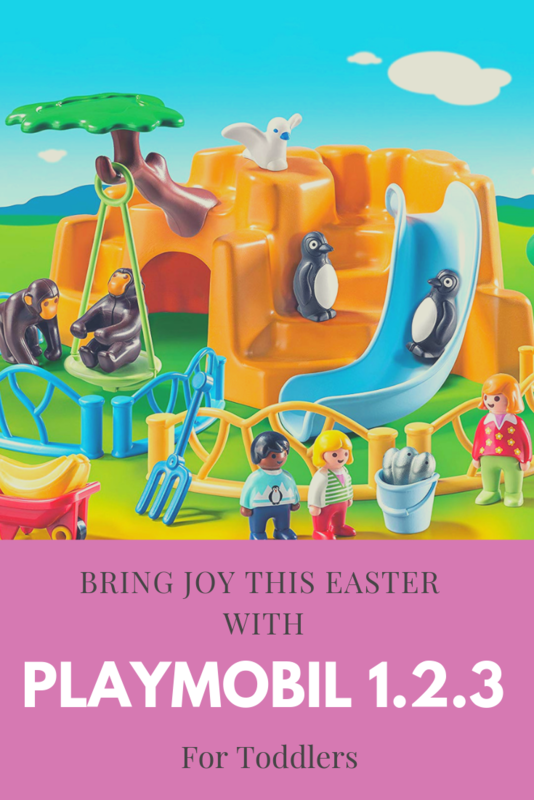 Just in time for Easter, PLAYMOBIL has come out with three adorable sets that will delight little boys and girls alike! Do you have a little one who dreams of going on a fairytale adventure? Make it happen with the PLAYMOBIL 1.2.3 Castle with Stackable Towers. 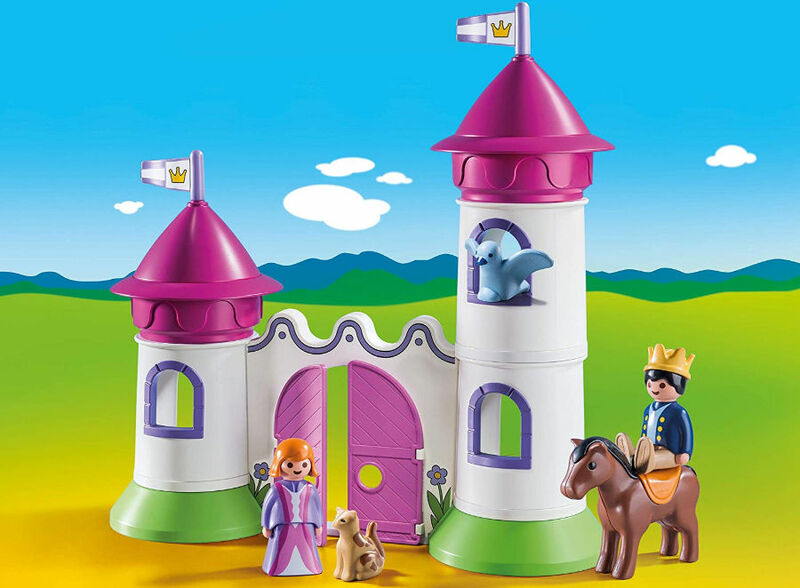 Designed with large, round pieces, this tower set features stackable round tower pieces to build two different sized towers with a fun double door castle entryway or one large, three-story tower. No matter which option children choose, they can enjoy bringing the included animals and people throughout their new towers! This set includes a king, horse with saddle, cat, pigeon, castle, and one female figure (note: she can’t ride the horse due to the skirt). Recommended for children 18 months or older. Does your child love to visit their local zoo? Help bring the experience of the zoo home for your toddler with the PLAYMOBIL 1.2.3 Zoo. This zoo features a large rock structure that combines with six fence pieces that come together to make a monkey enclosure and a penguin enclosure. In the monkey area, monkeys can hide in a cave from the sun or swing from the trees. The penguins can have just as much fun, with a fun area to slide down when they aren’t eating fish. Designed for toddlers, this set features large, rounded pieces to help keep little ones safe. 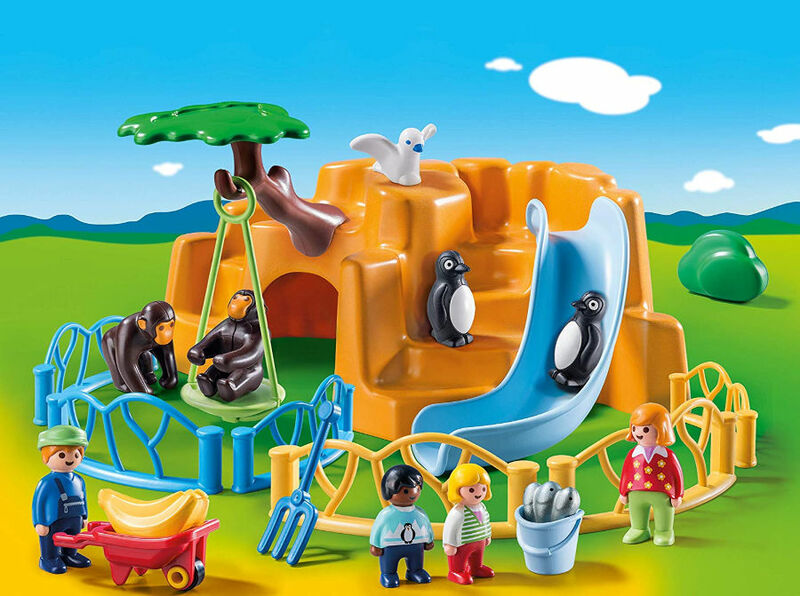 This adorable zoo set features one woman, one animal keeper, two child figures, monkeys, penguins, a pigeon, rock with tree and slide, fencing, wheelbarrow, bananas, fish, and many other accessories. Recommended for children 18 months or older. Are your kids ready to fight crime on the go? 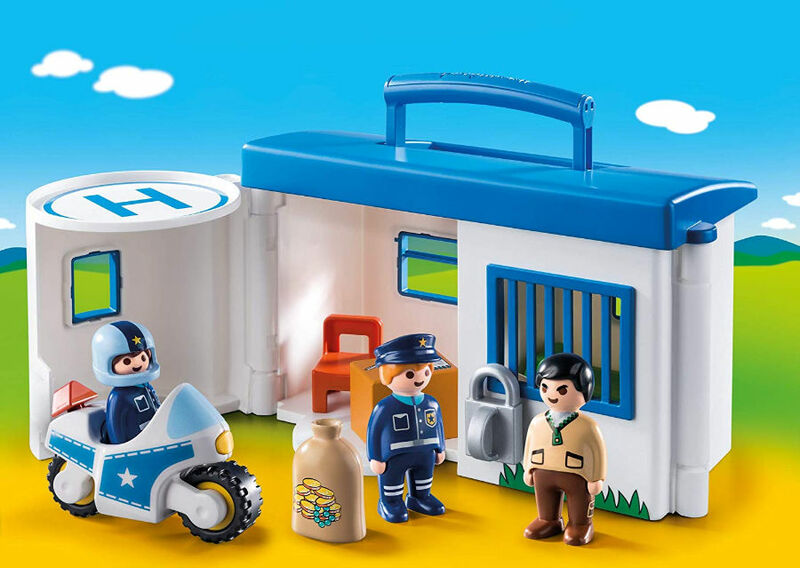 Make playing even easier for your little ones during travel with the PLAYMOBIL 1.2.3 Take Along Police Station. Children have everything they need to fight crime, including a padlocked prison that has a door that swings independently of the office. As well, kids can store the police motorcycle in the garage that also doubles as a helicopter pad (helicopter sold separately). Along with the whole set being made of large, rounded pieces to keep toddlers safe, all contents fit inside the police station case. This set includes three figures, one motorcycle, a moneybag, chair, desk, and other accessories. Recommended for children 18 months or older. Those look like some awesome playsets. I know my daughters would love these too. We love the Playmobil brand. Great playsets! I like the size of the pieces. Perfect for little hands!